With well over 50,000 names expired daily and a large number of names being snapped up each day, good domain names with high traffic and high resell value are truly hard to find. Therefore if you want to grab a handful of VALUABLE and QUALITY domain names, you definitely need the right tools to do the right job. Just imagine trying to find these domain names for hours and hours each day and with no results! So it is really important that you have the these tools to save you time and to help you get the domain names you want before someone else gets it. Why AlstraSoft Expired Domains Pro? AlstraSoft now offers our state-of-art AlstraSoft Expired Domains script at$120 for a LIMITED TIME only and you can offer your own expired domains searching service for your site members. In adition, the Expired Domans script will display results that has existing high Google PageRank (a indicator for each domain that determines its google search engine ranking) as well as high Google/Yahoo backlinks. Expired Domains script is great for your own personal use or offer on your website as a value-added service for your members. Our software is simple to setup yet efficient and it does not require you to have a dedicated server in order to get our software running (although we recommend clients to use a dedicated server). 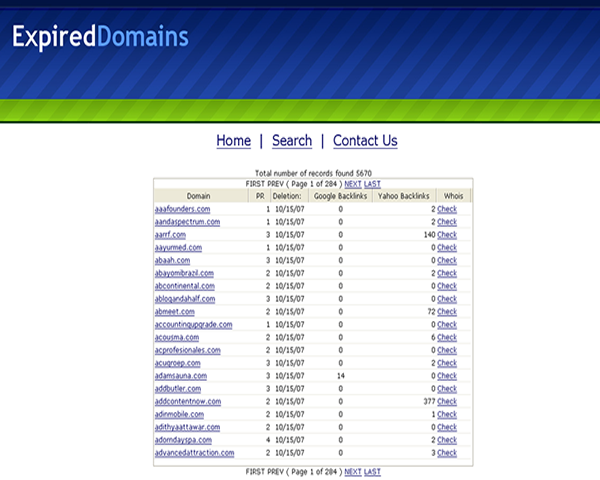 Expired Domains script currently supports many Top-Level Domains including: .com/.net/.org/.biz/.us/.ca/.info! Offer value-added service using our software! 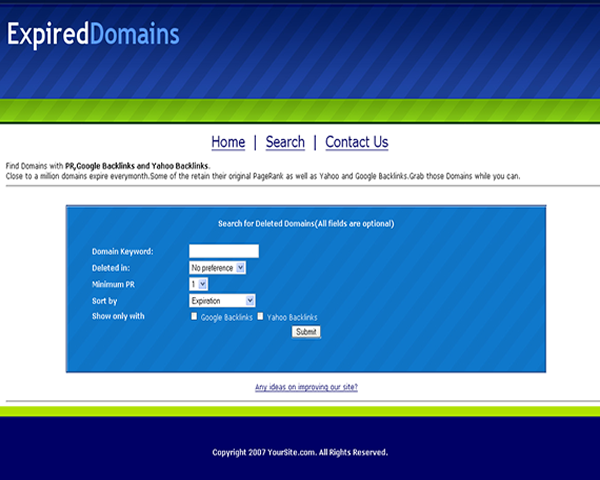 Great for sites offering web hosting, domain registrars or any domain related sites. Fast and easy to install our software onto your server. Grab domains with high PageRank and quality backlinks from Google/Yahoo and redirect them to your existing sites. Get higher rankings in search engines. Why pay money to get listed on search engines like Google and Yahoo! directory when expired domain names are already listed in these search engines?